View from the position of Triangle Point facing north down Caterpillar Valley and the road to Bazentin Le Grand. 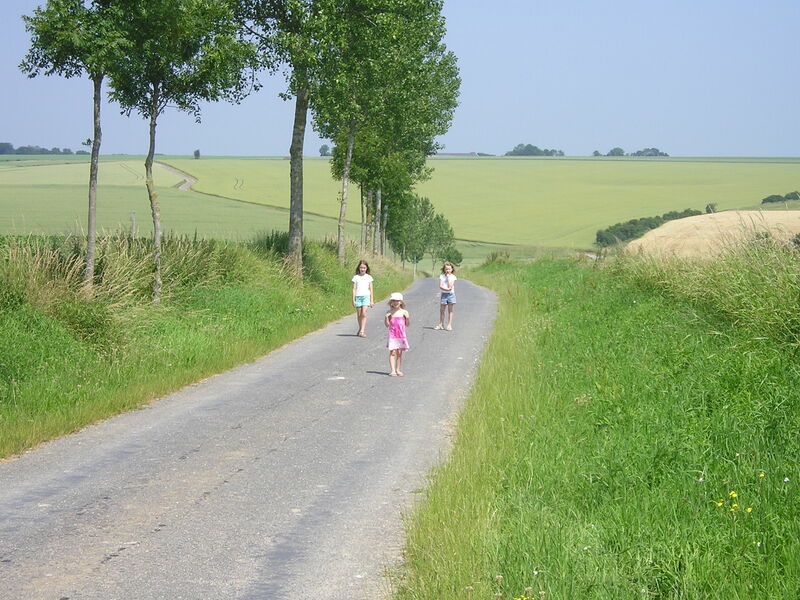 The children are approaching from the same direction as the German counter attack at 3am on 2nd July 1916. This entry was posted in First World War, Manchester Regiment, Montauban, WW1 and tagged 17th Manchesters, Helmet, Manchester Pals, Manchester Regiment, Montauban, Somme, World War I on May 25, 2013 by 8055bell.